NEW YORK, NY, February 09, 2019 /24-7PressRelease/ -- ZYN CURCUMIN (from Turmeric) Holistic Wellness™ drink has been named Product of the Year for Healthy Beverage Category for 2019. Product of the Year is the world's largest consumer-voted award for product innovation, where winners are determined by the votes of 40,000+ consumers in a national representative survey conducted by research partner Kantar, a global leader in consumer research. ZYN has been awarded the top honors for healthy beverages. "Backed by the votes of over 40,000 everyday consumers, the distinctive Product of the Year logo helps shoppers identify the best new products in the supermarket, and saves them valuable time and money during the shopping experience," said Mike Nolan, CEO of Product of the Year. "In an increasingly competitive and saturated marketplace, the Product of the Year seal of approval gives our winning products a powerful tool proven to increase product trial, consumer awareness, distribution and sales." "This is truly an honor for the entire ZYN family. We set out to develop a mission-driven company that is a force for good, and just as our Certified B-Corp status was announced, ZYN is voted product of the year," said Qasim Khan, co-founder of ZYN. "It's especially rewarding considering the consumer voice and vote. We are honored to be recognized as the leading product within the healthy beverage category. We look forward to showcasing the Product of the Year logo for the growing ZYN tribe." "This award belongs to entire ZYN tribe, which includes a growing number of consumers, retailers, corporate cafes, hospital systems, universities, professional and collegiate sports teams, restaurants, and everyone we have the privilege to work with. We're grateful for their amaZYN support and partnership," added Khan. 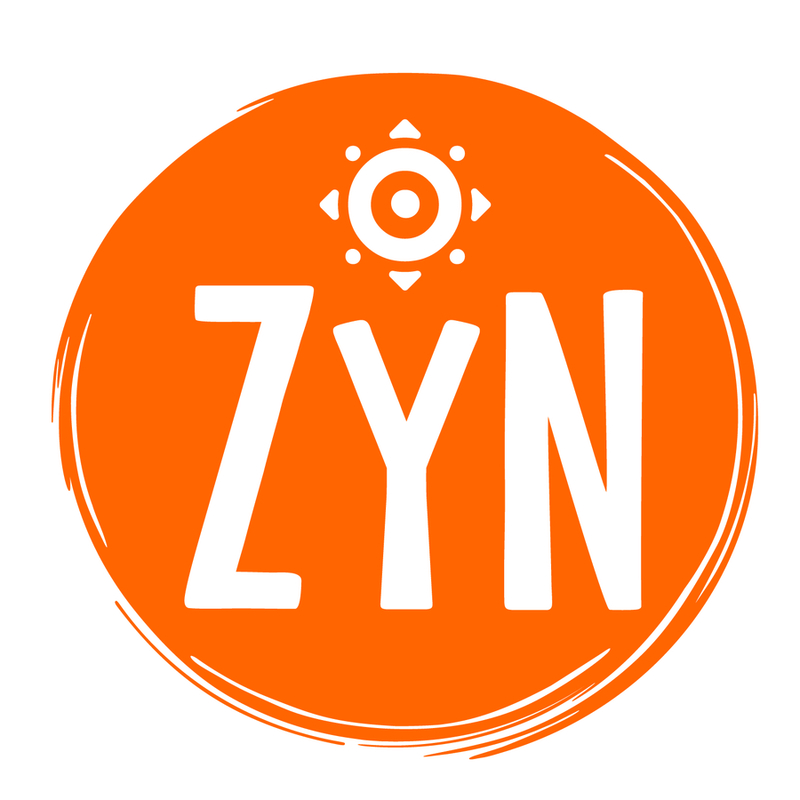 SUR Natural Health Brands LLC (d/b/a ZYN) is a holistic health and wellness lifestyle company that is making ancient, time-tested wisdom from around the world accessible for modern consumers in convenient and effective foods and beverages. ZYN's first product line, CURCUMIN (from Turmeric) infused beverages are first-to-market refreshing and healthy drinks that are crafted directly from CURCUMIN (the source of Turmeric's health benefits) and PIPERINE (black pepper fruit extract that optimizes absorption). ZYN beverages are available in 4 refreshing flavors (Mango Lychee, Pomegranate Cranberry, Lemon Ginger & Mixed Berry) and are low in sugar (2 grams per serving), calories (10 calories per serving) and carbs (3 grams per serving), and contain no artificial sweeteners, preservatives, colors, or flavors. ZYN, a Certified B Corporation, is headquartered in Milwaukee, WI. Product of the Year is the world's largest consumer-voted award for product innovation. Established over 30 years ago, POY currently operates in over 40 countries with the same purpose: Guide consumers to the best products in their market and reward manufacturers for quality and innovation. Product of the Year winners are backed by the votes of 40,000 consumers in a national representative study conducted by research partner Kantar, a global leader in consumer research. The award is a powerful merchandising program for marketers proven to increase product sales, distribution and awareness. Winning products are announced in February each year and receive the right to use the Product of the Year logo in marketing communications for two years. For more information, visit productoftheyearusa.com. Kantar is the world's leading marketing data, insight and consultancy company. We know more about how people live, feel, shop, vote, watch and post worldwide than any other company. Working across the entire sales and marketing lifecycle, we help brands uncover growth in an extraordinary world. Kantar is part of WPP and its services are employed by over half of the Fortune 500 companies in 100 countries.